It’s the season to be jolly, and for some, it’s also the season for a holiday of a lifetime. This Christmas, how about escaping to somewhere new? Whether you fancy leaving the cold and basking in the sunshine, or simply enjoying the festive cheer in a big, lively city, here are some of the destinations we’d recommend for a Christmas abroad. 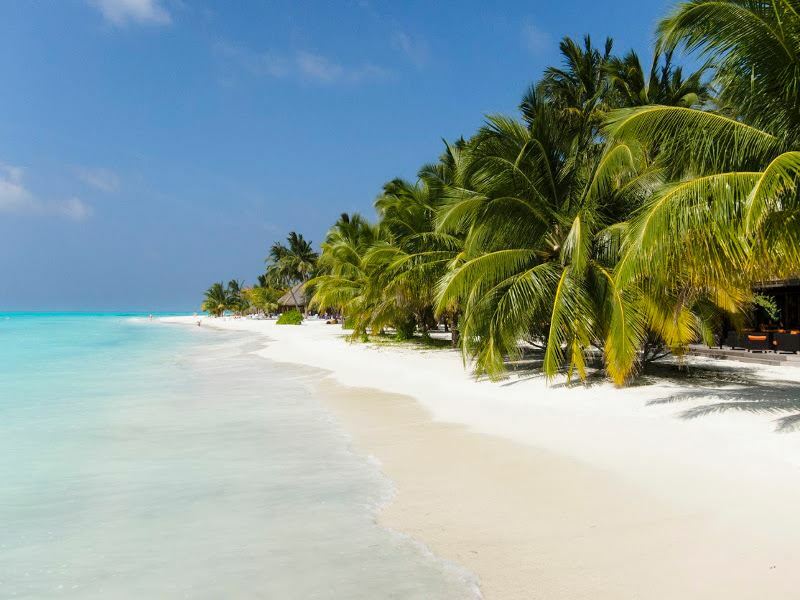 Spoil yourself and your partner this Christmas with a romantic trip to the Maldives, an idyllic destination where the temperature is still warm, and the crystal-clear waters and sugary sand beaches paint a picture-perfect backdrop. Christmas can be a stressful time, but it’s hard to feel strained when you’re soaking up the sun on the beach, dining under the stars, or marvelling at tropical fish from your over-water villa. Meeru Island Resort is a wonderful resort to consider. Accessible by speed boat, you’ll be able to enjoy your very own secluded oasis here, boasting soothing spa treatments, amazing snorkelling, and the innovative Hot Rocks Restaurant where your dish is cooked on hot volcanic rocks right in front of you. How can you top that Christmas dinner? Veligandu Island Resort & Spa is a favourite during Christmas time too, an adult-only paradise offering an exclusive experience. For the ultimate Christmas indulgence choose one of the stunning Water Villas, and spend your days relaxing in the infinity pool, sipping on a cocktail, and tucking in to fresh seafood at Madivaru. Fancy getting away from the usual wet and cold UK Christmas? Escape from it all and venture to Australia, where roast dinners are swapped with delicious BBQs, and the rain is swapped with blazing sunshine. You’ll be hitting the height of summer there, so be sure to pack your sun cream and your surf board. This is the perfect Christmas destination for those looking for something a bit livelier, and those hoping to get their tan on in between present giving. 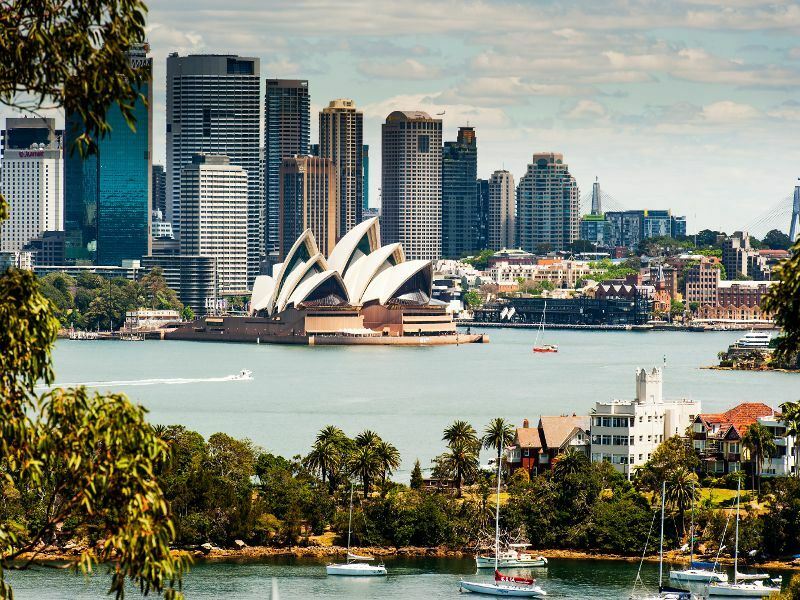 Add a bit of extra pizzazz to your Australian Christmas Day and board a Sydney Harbour cruise, a scenic journey that sails past some of the city’s best attractions, including Sydney Opera House and the Sydney Harbour Bridge. Captain Book Cruises have a fabulous Christmas Day cruise that offers a sumptuous Christmas lunch, and incredible views from the observation deck. If you’re hoping to bring in the New Year in Australia too, there’s no doubt watching the fireworks over Sydney Harbour is on your bucket list. If that’s the case, Captain Cook Cruises’ New Years’ Eve Cruise offers the best seats in the house – but get your reservations in quick, as it’s a popular hotspot for locals and tourists alike. Adventurous souls will love Sri Lanka at any time of the year, but Christmas time brings a plethora of exciting opportunities you won’t want to miss. It’s best to visit the south, west and central regions of this vibrant, fascinating country during December, as they are full of cultural activities that will certainly make this Christmas a memorable one. Spotting a whale emerging out of the water is a heart-stopping moment, and a truly unique way to spend Christmas morning. 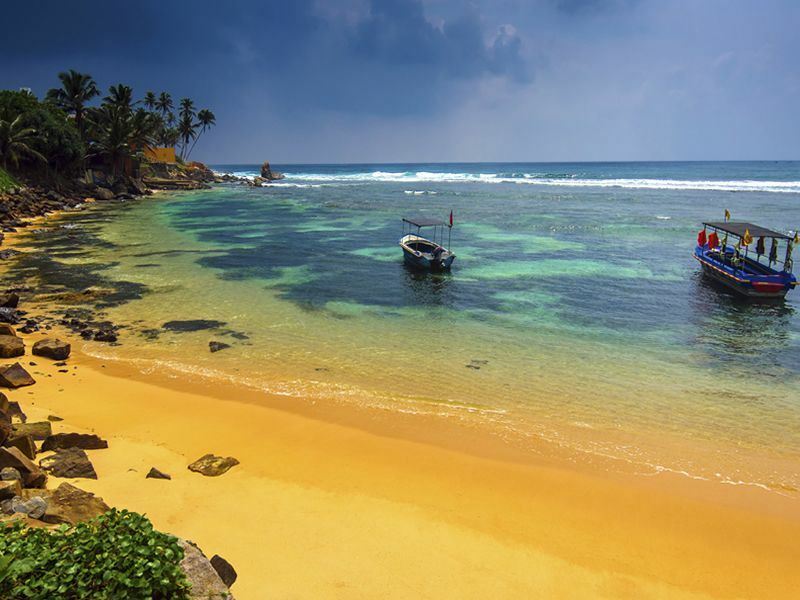 Venture to the coast of Mirissa and there’s a big chance you’ll enjoy this incredible wildlife experience. Don’t forget the temples for that extra slice of culture – though Christmas isn’t officially celebrated here, it’s great to delve into the Buddhist culture and see the beautiful golden architecture. The Gangaramaya Temple in Colombo is a good place to start. In between exploring Sri Lanka’s cultural and natural beauty, Anantara Kalutara Resort & Spa offers a tranquil spot to truly unwind. With opulent décor, three decadent restaurants and two swimming pools to dip in to, all that’s left is for you to soak in the peacefulness of this luscious destination. From Santa rocking up on the beach on a jet-ski, to fun family-friendly traditions, Barbados is a stellar choice for a family Christmas holiday to remember. 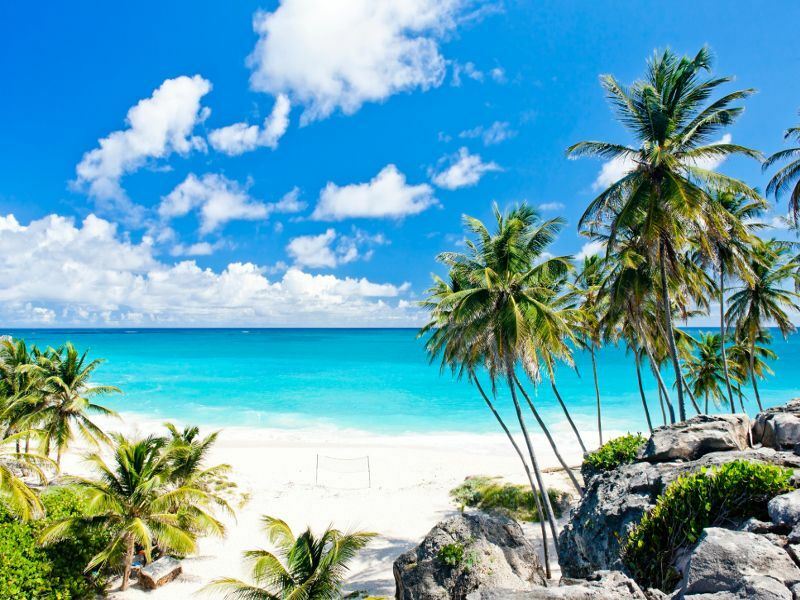 Many celebrities make their way to Barbados’ powdery shores over the Christmas break too, so there’s ample opportunity for some great celeb spotting – look out for Simon Cowell walking along ocean’s edge, or the Rooney’s playing a round of beach volleyball. Barbados might be well known for its enviable beaches and lively towns, but did you know about their Christmas traditions? Tuck in to a plate of Jug Jug – a Scottish inspired dish created with peas, guinea corn flour, herbs and salt meat, before devouring a sticky Great Cake - a sponge adorned with dried fruits, spices and liquors. On Christmas day, turkey is swapped for ham studded with cloves and basted with a pineapple or sorrel glaze. Spending time with friends and family is the main protocol, and you’ll find many locals kitted in their finest clothes in Queen’s Park on Christmas day. Don’t worry about missing out on the traditional Christmas decorations - Bridgetown is awash with bright green and red Christmas lights, and each roundabout is decorated with a unique Christmas theme. Whilst you’re joining in with the festivities, you’ll need somewhere comfortable and luxurious to rest your head. Sugar Bay Barbados is a brilliant All-Inclusive family resort with colourful décor, panoramic beach views, and four delicious restaurants, as well as an exciting kids and teens club for the younger guests. Meanwhile, if you’re looking for a more romantic Christmas trip to Barbados, The SoCo Hotel is a beautiful adult-only hotel offering style, glamour and - of course – romance. 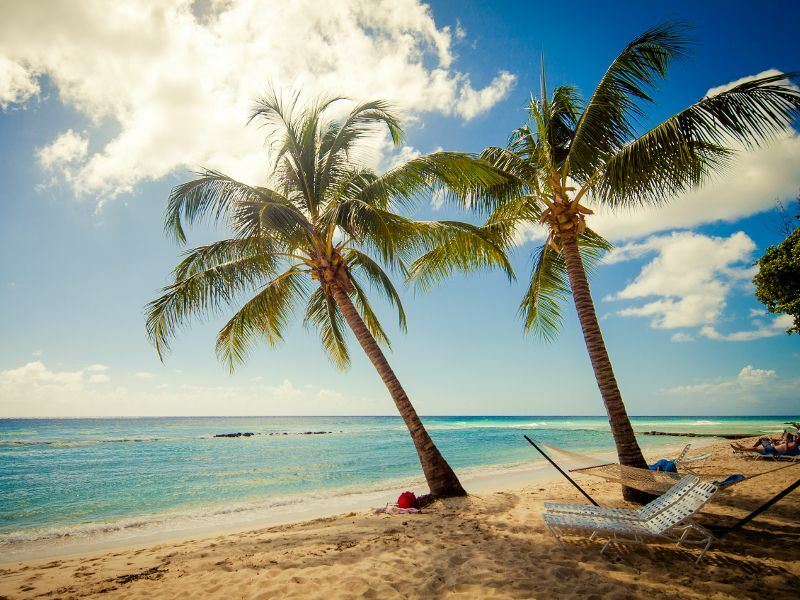 If you’re hoping to spend Christmas feeling the heat of the sun on your skin and the sand in between your toes, Mauritius is a popular spot. 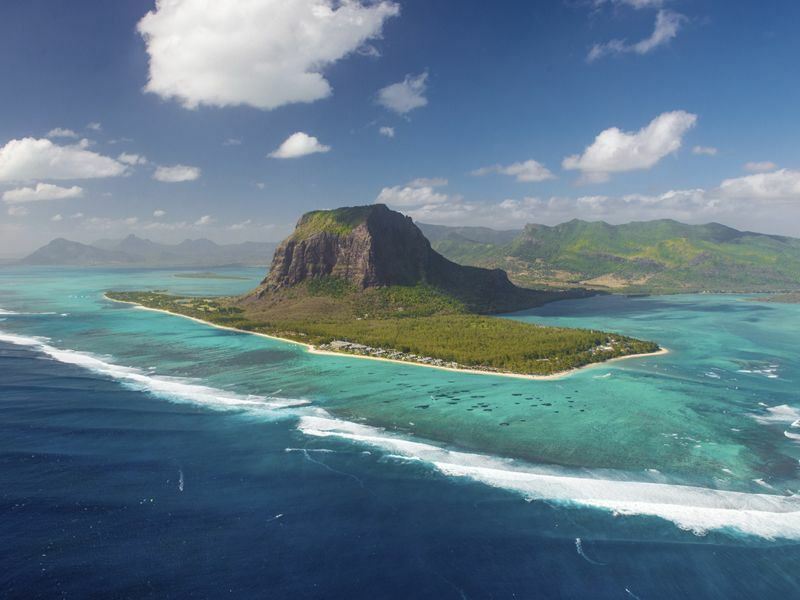 The end of the year is one of the hottest times for Mauritius, and though it does tend to rain quite heavily near Christmas, it’s over quickly, gets rid of the humidity, and makes way for brilliant sunshine for the rest of the day. Despite being high season, the beaches are still calm and secluded, perfect for unwinding and forgetting about everyday stresses. 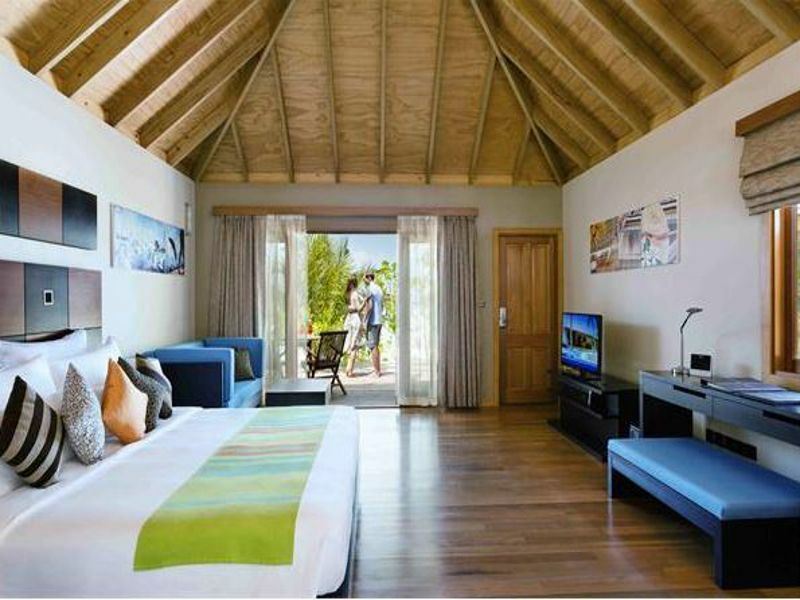 Zilwa Attitude is a fabulous choice, mixing luxury with authentic Mauritian architecture and cultural experiences. On Christmas day, treat yourself to one of the many rum-based cocktails at the over-turned boat that’s been turned into a bar, or hop on a boat and sail along to a little island for a romantic, private picnic. 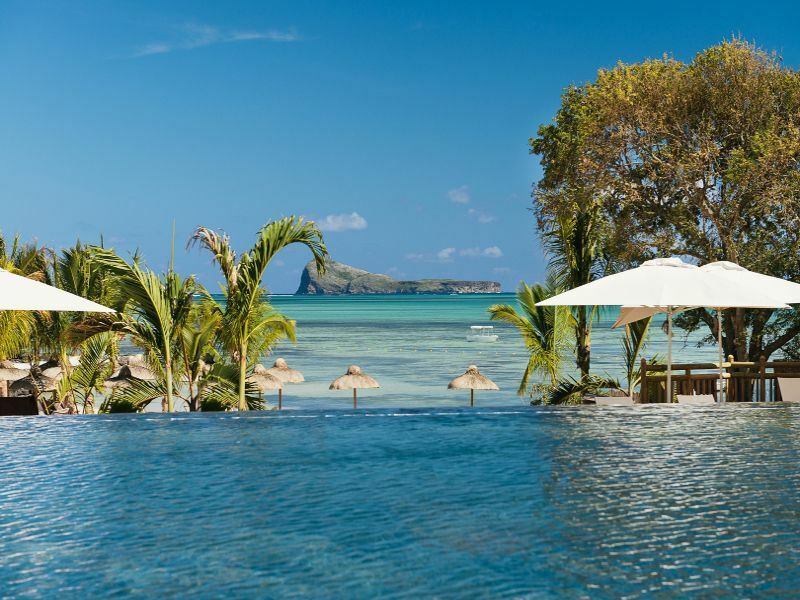 Mauritius is a gorgeous destination for families too, and Veranda Grand Baie Hotel & Spa has everything any family could need, including a cool kid’s club, a beautiful pool leading on to a white sand beach, and a relaxing spa for mum and dad to indulge in. Heritage Awali is also a great choice thanks to its fascinating cultural experiences including mountain biking and guided tours of the Frederica Nature Reserve – or of course, you could spend Christmas day practicing your swing on the 18-hole golf course. Add a touch of adventure to your Christmas holiday and travel to South Africa, a naturally stunning destination offering fantastic self-drive opportunities. 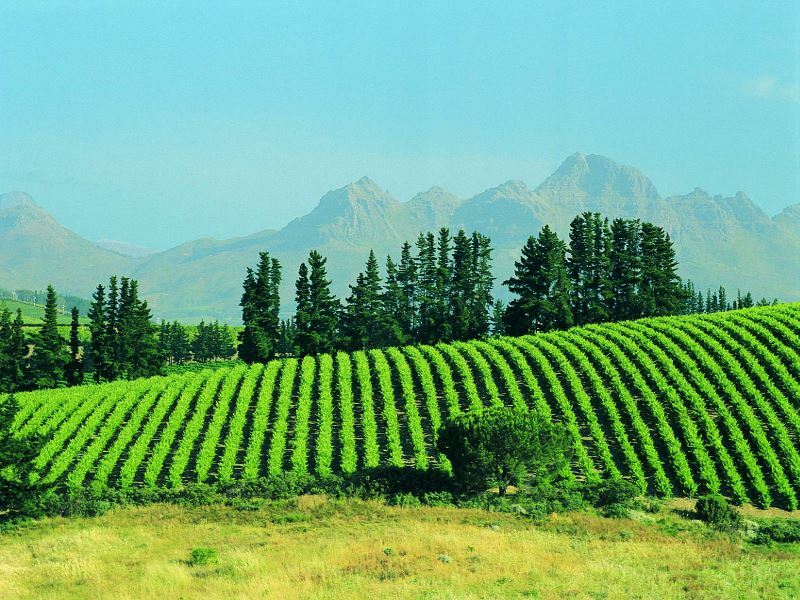 We recommend starting your once-in-a-lifetime trip with a visit to Cape Town, a city full of incredible attractions including Table Mountain, Boulders Beach, and Robben Island - all before venturing along to the Winelands to discover the region's hundreds of decadent wineries and sweeping vineyards. The towns of Stellenbosch and Franshhoek are the most popular for sipping wines and dining on gourmet cuisine al fresco. The Garden Route is very popular this time of year – what could be better than driving through verdant valleys, discovering charming towns and natural attractions? After stopping at the Winelands, take a visit to the Karoo - a fascinating semi-desert region offering unique, rugged sceneries and ostrich sightings, before setting off to the charming towns of Wilderness, Knysna and Plettenberg Bay. South Africa is becoming increasingly popular for a Christmas break, so you will need to book several months to a year in advance to ensure availability. This Christmas may be too soon to book now, but why not treat yourself to the ultimate Christmas present and create a wonderful South African itinerary for next year? Sometimes you just can’t beat a snowy Christmas. With the sparkle of Times Square lights, a blanket of snow covering Central Park, pretty Christmas themes decorating the shop windows, and plenty of festivities, it’s so easy to feel the Christmas spirit as you explore the streets of Manhattan. Wander along to the Rockefeller Centre and marvel at the gigantic Christmas tree, which now holds a whopping 25,000 Christmas LED lights. The Sheraton New York Times Square is right in the centre of the action, and just a few minutes walk from the towering Rockefeller Center. 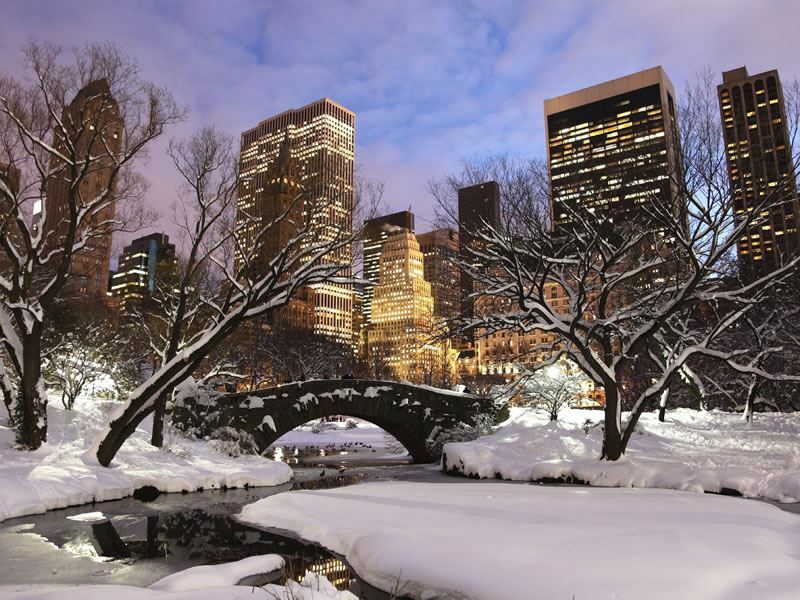 A walk through Central Park wouldn’t go amiss either – the trees are covered in glistening show, and the Wollman Rink is a great place to enjoy a typically Christmassy activity with the Manhattan skyline behind you. The festive live shows are a fantastic way to spend one of your evenings in Manhattan - Brooklyn's BAM hosts the American Ballet Theatre’s version of The Nutcracker, whilst Radio City Music Hall's Christmas Spectacular is a colourful show full of dancing Santas. 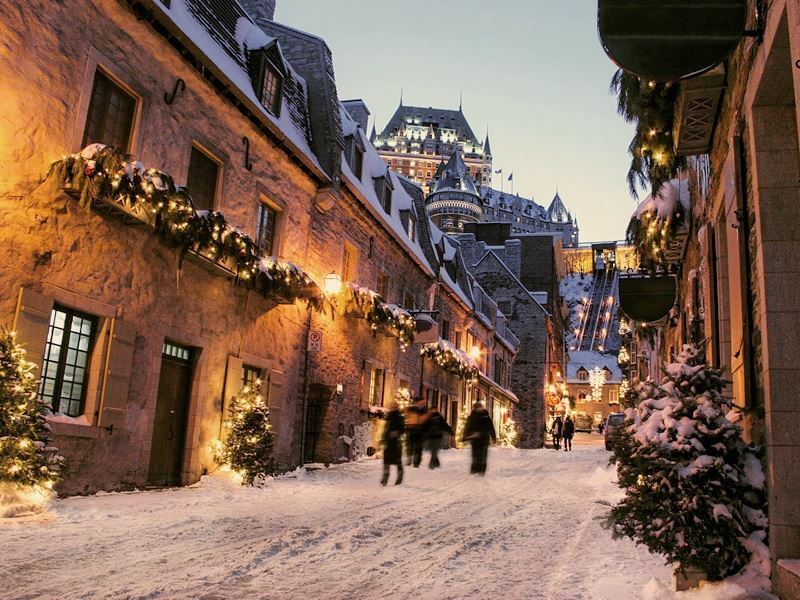 Quebec City is perhaps one of the most picturesque destinations to visit during the Christmas period. In December Old Quebec is transformed into a pretty Christmas village - the glistening snow, old worldly shops and twinkling lights looking like something out of a traditional Christmas card or Charles Dickens’ A Christmas Carol. So many neighbourhoods and iconic buildings are decked out in Christmas decorations, and the whole family will love exploring the streets in search for the best presentations. The Theatre Capitole and Saint-Jean Gate are beautiful at any time of year, but add a touch of holiday spirit and a scenic ice rink and you have the perfect Christmassy evening. The German Christmas markets are well worth wandering through too, and if the kids want to sit on Santa’s lap, you’ll find him in the grand Fairmont Le Château Frontenac. Bali’s warm climate, incredible beaches and luscious jungles are sure to entice you in, but add in a few Christmas decorations and festivities and you’ve got yourself a real December treat. 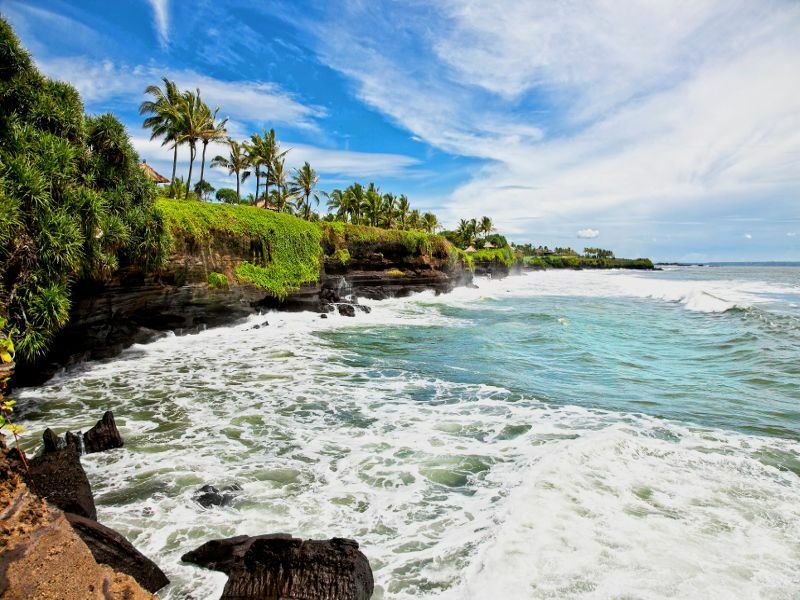 The bustling cities of Ubud, Seminyak and Nusa Dua are perfect for a really vibrant and lively stay – the streets are awash in sparkly lights and festive décor, and as you walk along you’ll be sure to hear the beautiful sounds of Christmas carols. If you fancy a bit more relaxation and seclusion though, you’ll do well to stay far out from the centre, including Sanur, Lovina and Amed. Nestled in the heart of Bali, yet still evoking a sense of tranquillity and seclusion, Nusa Dua Beach Hotel offers true relaxation desirably close-by to the Christmas cheer. This is an opulent choice, perfect for the ultimate Christmas indulgence - we're certain you'll love the chic, Balinese decor, four swimming pools, and the 150m stretch of white sand beach. The innovative restaurants here serve up a delicious menu of traditional Christmas feasts, or you can immerse yourself in the culture and dine on flavoursome Indonesian fare for your Christmas lunch. Our biggest recommendation for the festive day is to watch the amazing firework displays. Said to drive away bad luck, the fireworks are a big part of Bali’s Christmas, and it’s a wonderful, humbling feeling getting to watch these big blasts of colour from a sandy beach, or even at a rooftop bar as you sip on a refreshing cocktail.